The Arkansas River carved this 10-mile-long canyon over millions of years and still flows through its depths, attracting whitewater rafters from around the world. The Denver & Rio Grande Railroad built a line through the canyon and along the Arkansas River in 1880. The Royal Gorge Route Railroad now operates excursion trains on the same line, traveling 12 miles through the canyon from Cañon City to Parkdale. Cañon City authorized the building of the Royal Gorge Bridge in 1929. Spanning 955 feet above the river, the suspension bridge is the highest in North America. You can walk across the Royal Gorge Bridge at the Royal Gorge Bridge & Park, where jaw-dropping views and extreme adrenaline rides await. After suffering a devastating fire in 2013, the Royal Gorge Bridge & Park rebuilt itself to include a state-of-the-art visitor center, gondola rides across the gorge, a fantastic children’s play land and more. In the summer, the park hosts national acts at its new music venue. 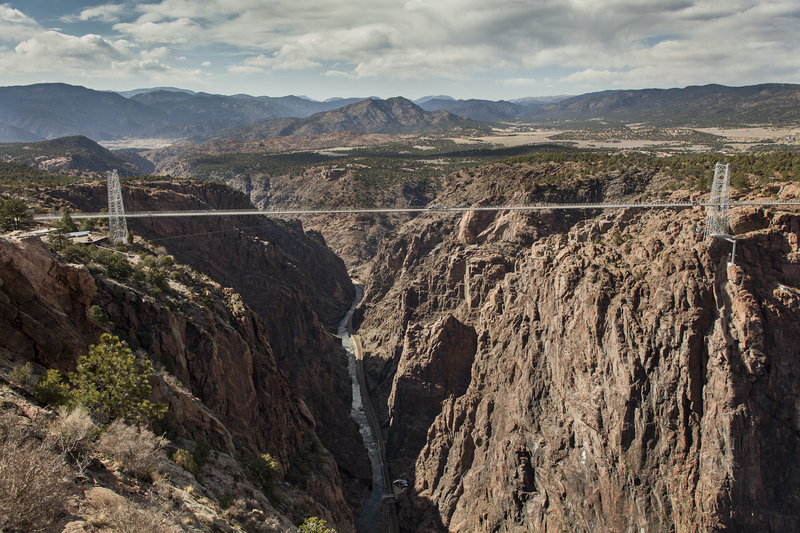 The Royal Gorge is an easy and scenic one-hour drive from Westcliffe.